Instant orthodontics is a group of procedures that use porcelain veneers and dental crowns to eliminate gaps, correct overlaps, and improve the cosmetic appearance of your smile. It serves to replace traditional orthodontics when the patient desires a faster option with the ability to enhance the color and shape of teeth. The procedure follows a clear process. After a complete dental examination with diagnostic models is performed, a wax-up of the ideal teeth alignment is created. This lets the patient see what the teeth can look like when finished, prior to deciding to have the teeth instantly aligned. After the wax-up is returned from the dental lab, a meeting is scheduled with Dr. Michael for a treatment review. He will discuss all options and recommend the appropriate treatment. Once a decision is made to begin treatment, the office schedules your next appointment to begin treatment and discusses dental sedation options. Treatment day begins just like any other dental procedure. The patient is comforted by the staff and escorted to the treatment suite where they are offered a blanket. For those taking advantage of dental sedation, the patient is assessed to determine if they are adequately sedated. Once a comfortable level of sedation is achieved the procedure begins with topical anesthetic followed by local anesthesia. Once the teeth are numb, the tooth is modified or prepared slightly depending on the type of restorative material that has been chosen. In some cases, there is very little or no preparation at all. An impression of the teeth is then taken and sent to the dental lab to begin the porcelain fabrication. Finally, the temporary is fabricated using the a mold of the perfectly aligned wax-up. Liquid acrylic, of the desired teeth shade, is inserted into the mold and then gently placed on the teeth for 2-minutes. It hardens and is then removed, adjusted and polished prior to being temporarily cemented on the teeth. Once cemented, the dentist will verify the fit, adjust bite as needed, and make sure it is easy to clean. Generally, temporaries are worn for 2-4 weeks depending on lab time. In some cases, treatment is expedited and other times it may be delayed depending on individual circumstances. Patients are asked to return to the office one week after the temporaries are placed. This gives the patient an opportunity to make sure the new teeth are comfortable as well as confirm the length of the teeth, color, shape, etc. Once the patient confirms they like the temporary teeth and a final color, an impression of the approved temporaries is taken and sent to the dental lab for them to duplicate in porcelain crowns or veneers. 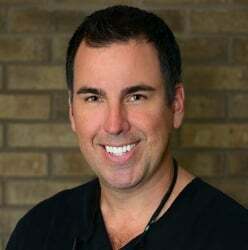 This takes the guess work our of this wonderful cosmetic dental procedure. At the final visit, the temporaries are removed and the permanent porcelain crowns, veneers, onlays, etc. are tried in temporarily and examined by the patient and doctor prior to permanent placement. If everything looks good, and it should at this point, you give the us the go ahead and the restorations are permanently bonded to the tooth surface. Dr. Michael cleans all excess materials and performs a bite check to make sure the new teeth align properly with the existing teeth. Then, final impressions are taken of your newly restored smile for the fabrication of a night guard. You return a week later for the night guard delivery and final adjustments if necessary. You are asked to call the office if anything doesn’t feel right after the numbness wears off. We offer a Complimentary Instant Orthodontics Consultation! Call 941-929-7645 or email us for more information.